Photo: Bland but immaculate Euro Boutique. 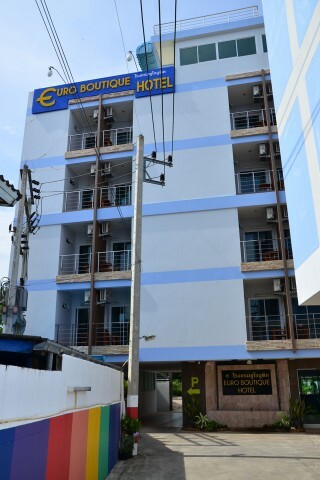 A convenient location with clean and comfortable rooms at reasonable rates make Euro Boutique Hotel a top pick in Chumphon town. Standing six storeys tall and painted two shades of blue, the featureless concrete building is set back from busy Kromluang Road, less than a kilometre east of the train station. The bland design makes this one of many examples of hotels misusing the word “boutique,” but we’re not concerned about terminology when the rooms are this immaculate. The tile-floor rooms are opened by key-card locks and come with soft linens on firm queen bed or two twin beds along with LCD TVs, fridges, desks, basic hot-water wet bathrooms and a couple of wood chairs on small balconies accessed through sliding glass doors. The shipping container rooms at nearby Retro Box are flashier, but Euro’s rooms are larger and at least as comfy for less cash. The receptionist greeted us with a smile before leading us up some stairs to see a couple of rooms. WiFi is free and motorbikes and mountain bikes are available for rent. Ferry schedules and other local info are posted in the ground-floor common room with several tables. 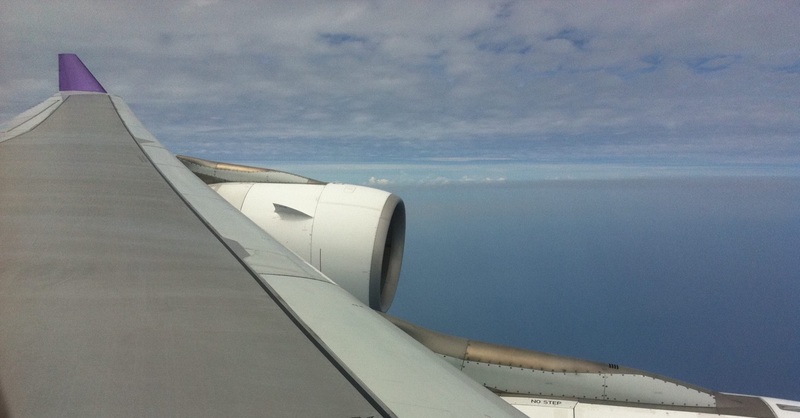 Check rates at Euro Boutique Hotel on Booking.com. Room: Standard double room, low season: 590 baht, high season 590 baht. Notes: Double. Twin: 690 baht.